High nitrogen poses an alarming risk to the environment and researchers are taking note. The human production of fixed nitrogen being used primarily to fertilize crops is said to be responsible for approximately half of the total fixed nitrogen going into the environment, according to a new study by researchers at North Carolina State University and Duke University. 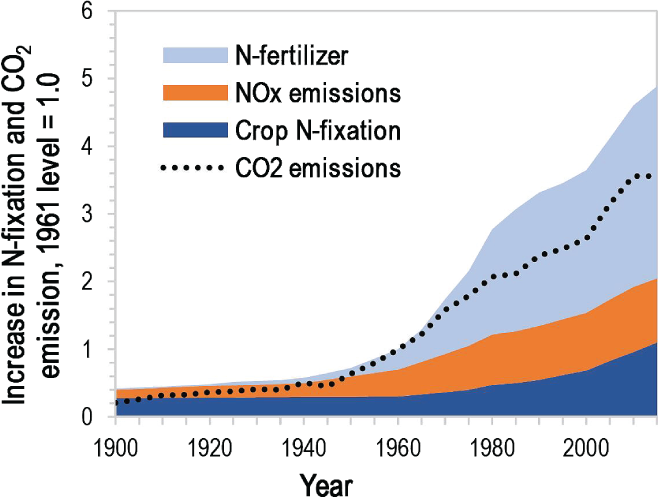 Human production of fixed nitrogen is five times higher than it was 60 years ago. The researchers say the substantial increase could pose as much of a threat to the environment as the increase of carbon-dioxide causing climate-warming. One form of nitrogen gas, nitrous oxide, is a potent greenhouse gas that can contribute to rapid global warming. High levels of nitrous oxide in the atmosphere will degrade the atmospheric ozone layer and can develop a hazardous ground-level ozone. 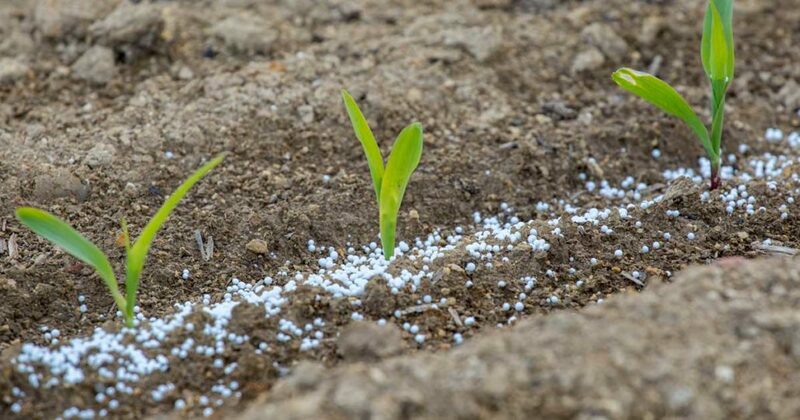 To conduct their study, the researchers at North Carolina State University and Duke University gathered historical data on fertilizer use in agriculture and recent estimates of nitrogen-fixation rates. 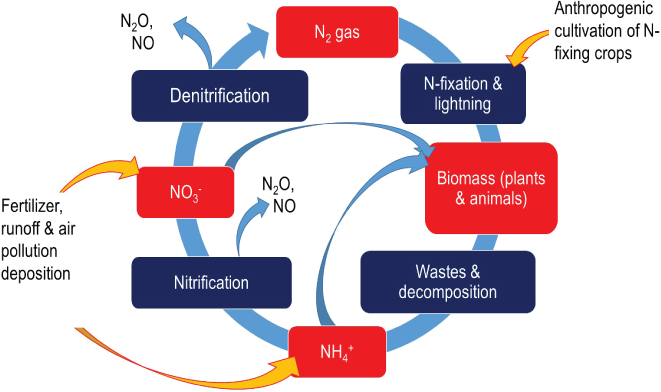 They analyzed trends in human production of fixed nitrogen since the beginning of the 20th century. Then they placed these trends in context with recent estimates of natural nitrogen fixation and denitrification rates on land and in water. Too much nitrogen in the soil benefits a limited number of species that can out-compete native species, reducing biodiversity, Aneja notes. The high levels of nitrogen pose a threat to human and animal health too. The high levels of nitrogen being used are now being found in groundwater. Excessive amounts of nitrogen in groundwater are associated with intestinal cancers and miscarriages and can be fatal to infants, as well as aquatic life. Nitrogen compounds as a fertilizer have been used by the people for many years, but time has changed the type of fixed nitrogen being used. Historically, only naturally fixed sources, like compost manure and guano, were applied to fertilize crops. In the early 1900s, German chemists Fritz Haber and Carl Bosch discovered a process that converts atmospheric nitrogen to ammonia, allowing humans to produce nitrogen-based fertilizers on an industrial scale for the first time. In 1960’s, more than 60 percent of farms in the U.S. had converted to using chemical fertilizer and the average nitrogen rate was 17 pounds per acre. 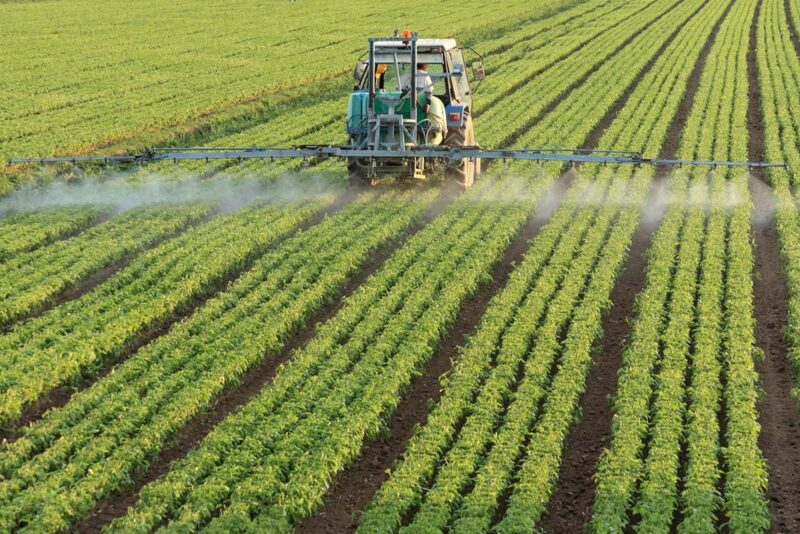 By 2007, U.S. farms were using 82.5 pounds of nitrogen per acre on average. 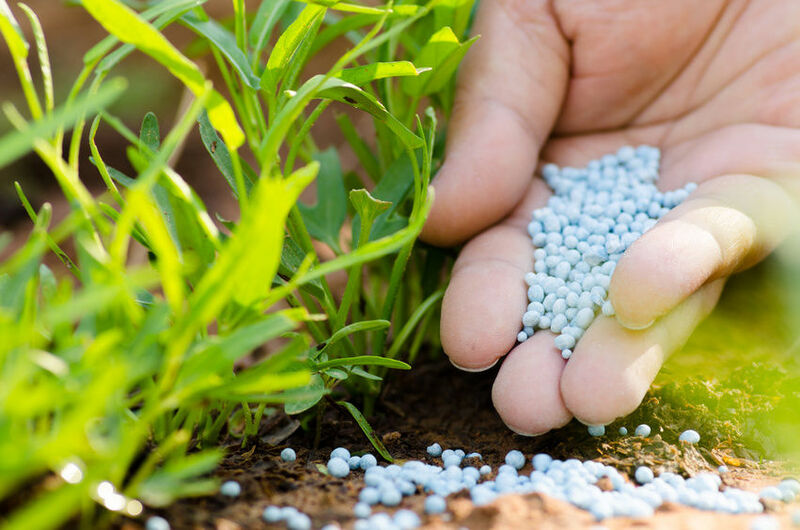 Companies like Mirimichi Green encourage the use of lower nitrogen rates and offer low NPK fertilizers and bio-stimulants. Mirimichi Green products are low in NPK, but high in nutrient availability and contain liquid carbon. NPK is often a temporary fix to soil biology problems. Unlike nitrogen, carbon is the key solution to many soil issues that can arise. Carbon keeps the soil aerobic, holds nutrients in the root zone, gives a home for all the protozoa, hype, fungi and other necessary elements for healthy plants and soil.